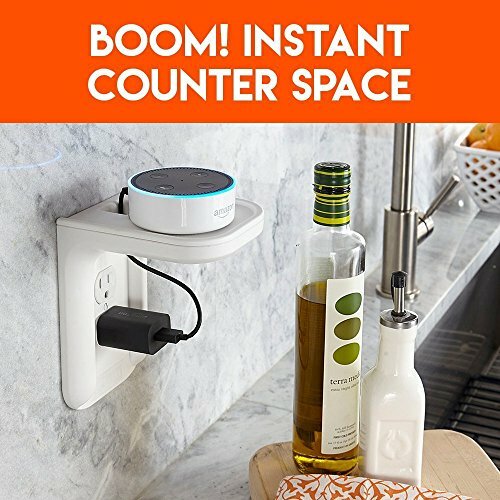 Have you ever looked at your crowded kitchen counter, bathroom vanity, or nightstand and thought “I wish I had more space for my electronics and knick knacks!”. 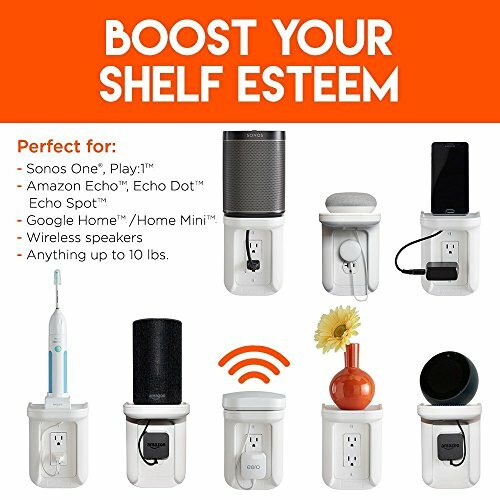 Well consider this shelf your ECHOGEAR genie, because your wishes are about to come true. 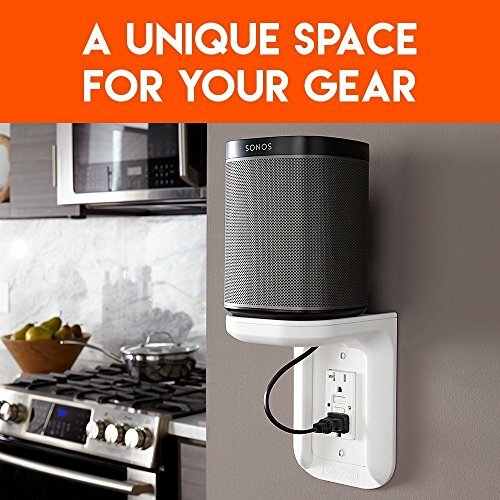 The ECHOGEAR Outlet Shelf is designed to be easily installed on your existing outlets. All you need to do is remove the screw from the outlet cover, put the shelf in place, and screw one of the included outlet covers on. That’s it. For real. We’ve even included the hardware so you won’t need to search your junk drawer for a screw that only kind of fits. 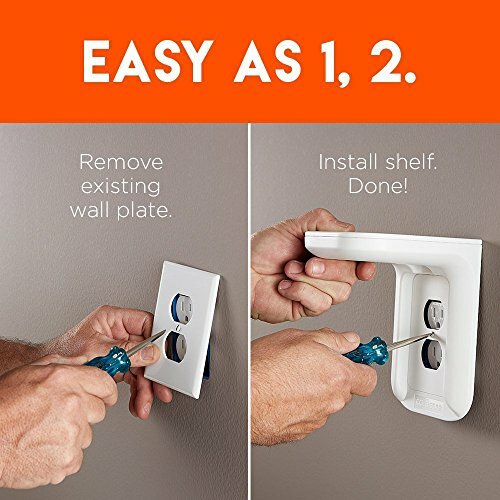 Once it’s installed, the shelf can easily hold anything up to 10lbs. That means you bluetooth speaker, lava lamp, and drill can all have a new home. We even built a channel in the back of the shelf, so your charging/power cables can stay tidy. Remember to get a shorter cable for your device to get the pictured streamline look. Another option is to tie the excess cable together and put behind your device on the shelf. Feelin’ fancy? The shelf comes with two styles of outlet cover, so your home’s well-curated style won’t be wrecked. Kudos on the design, Joanna Gaines would be proud. 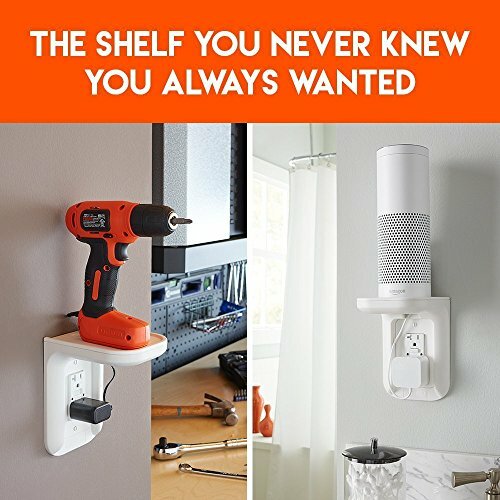 Add a shelf to your outlets to save space and organize your home. 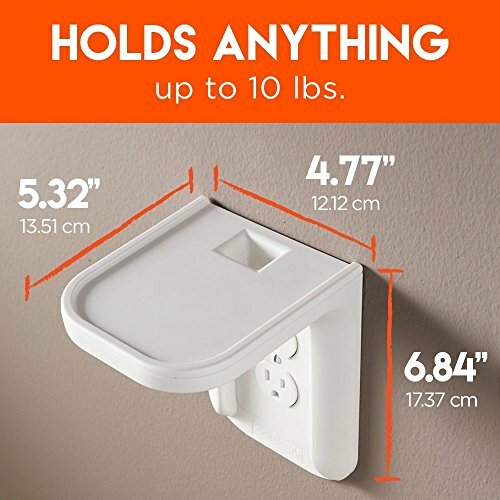 Holds small electronics (or literally anything else) up to 10 lbs, that’s 3x more than flimsy competitor shelves can hold. 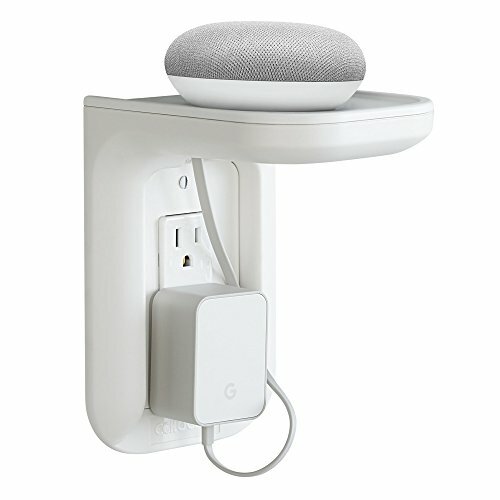 We’ll work with what you have – Perfect for Sonos One, Google Home Mini, smart speakers, and more. 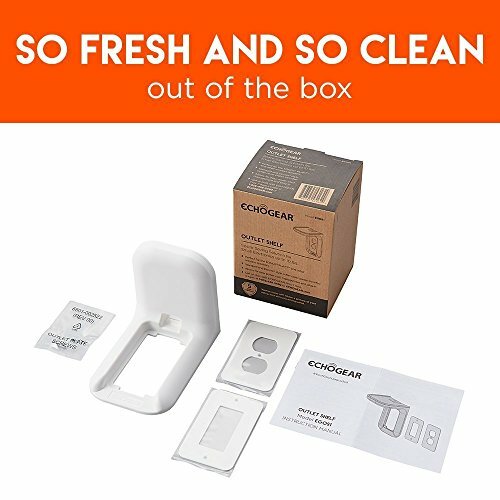 Standard wall plate covers included for all of you manly men out there, and Decora wall plate covers included for style. 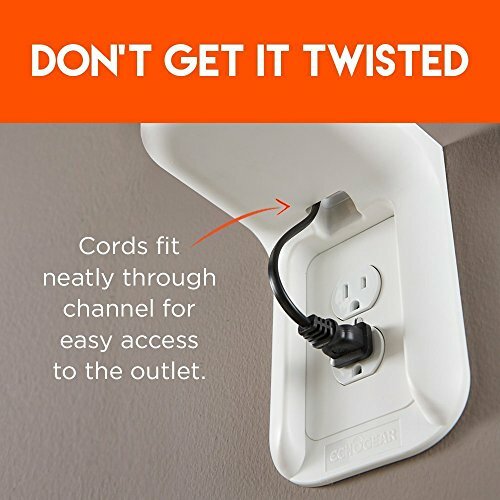 Don’t get it twisted, the built-in cable management channel gives you easy access to the outlet. Pair your device with a shorter cable, or tie you cable together and put it on the shelf to get the pictured streamline look.